Slow cookers are great. They are probably one of my favourite kitchen utensils, because you can make just about anything in them. If you don’t believe me, you should check out A Year of Slow Cooking. This blog is hilarious! 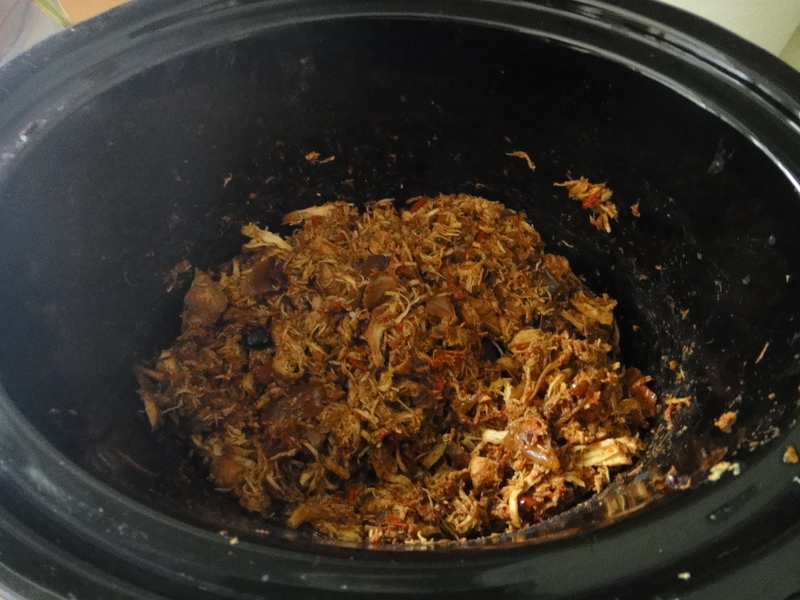 Stephanie tries to make absolutely anything in the slow cooker, and I mean anything! 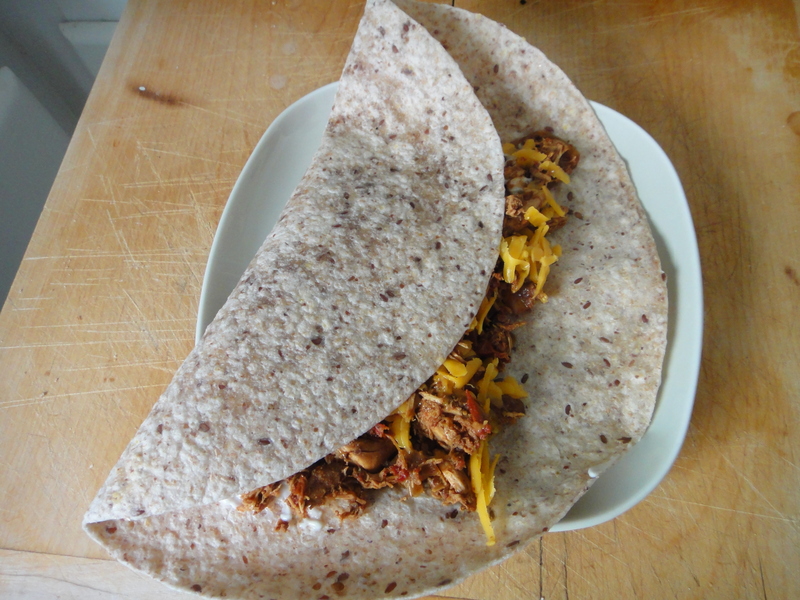 I decided to try and make something a little more conventional – slow cooker pulled chicken tacos. They turned out so well, I would make them again tomorrow! 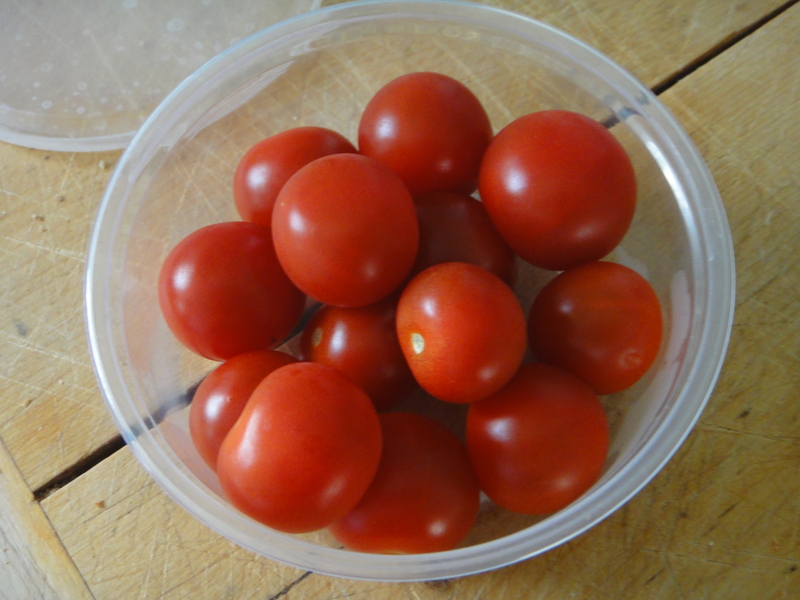 For the liquid base, I used fresh cherry tomatoes from the farmer’s market. These are so sweet and tasty, I love them! I put them at the base of my slowcooker and mashed them with a potato masher. Be careful, this makes a huge mess! I diced some onions and red peppers to add to the tomatoes, and used a seasoning base of dried chili powder and salt and pepper. That’s it. Seriously. I threw in the chicken and let it cook for 8 hrs. Here’s what it looked like before It cooked down. Ta da! I “shredded” the chicken and let it sit in its juices for a bit. 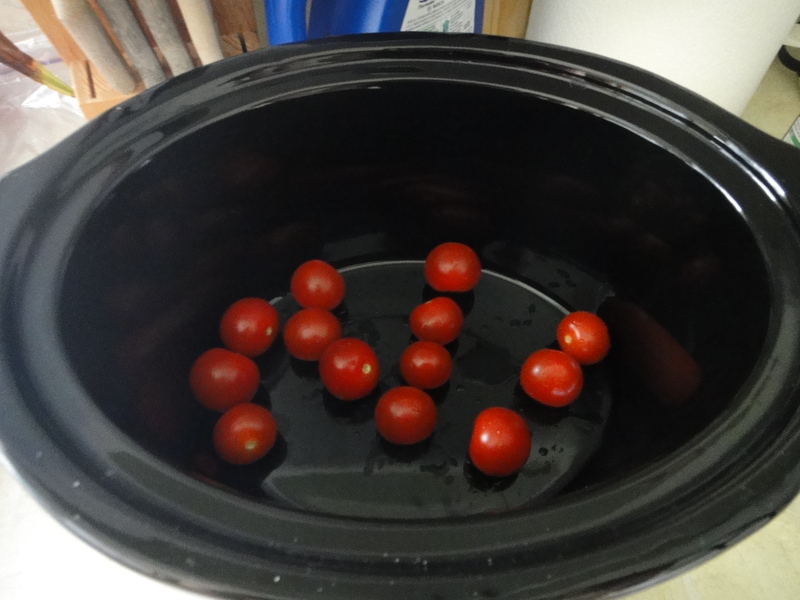 Crush cherry tomatoes, using a potato masher, at the bottom of your slow cooker. Dice onions and peppers, add to tomatoes. 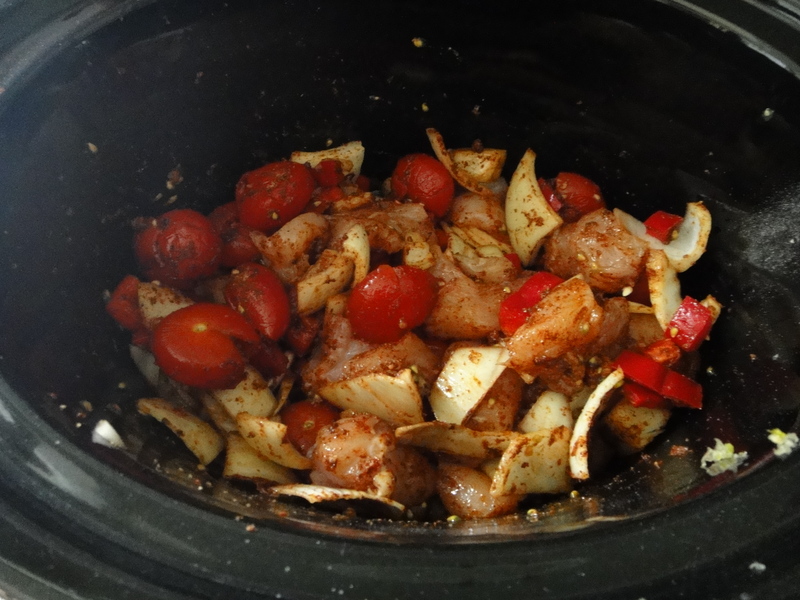 Cut chicken into chunks, add to slow cooker. Sprinkle ingredients with chili powder, salt and pepper. Mix to coat well. Cover and let cook for 8 hrs on low. After 8 hrs, uncover and “pull” chicken using two forks. Cover again, turning slow cooker to “keep warm”, and let chicken re-absorb the juices at the bottom. Serve in a whole wheat tortilla, covered in your favourite cheese, and smothered with guacamole and sour cream. Yum! A Year of Slow Cooking is probably the first food blog I ever read regularly. Of course, nowadays I don’t spend nearly as much time on food blogs. 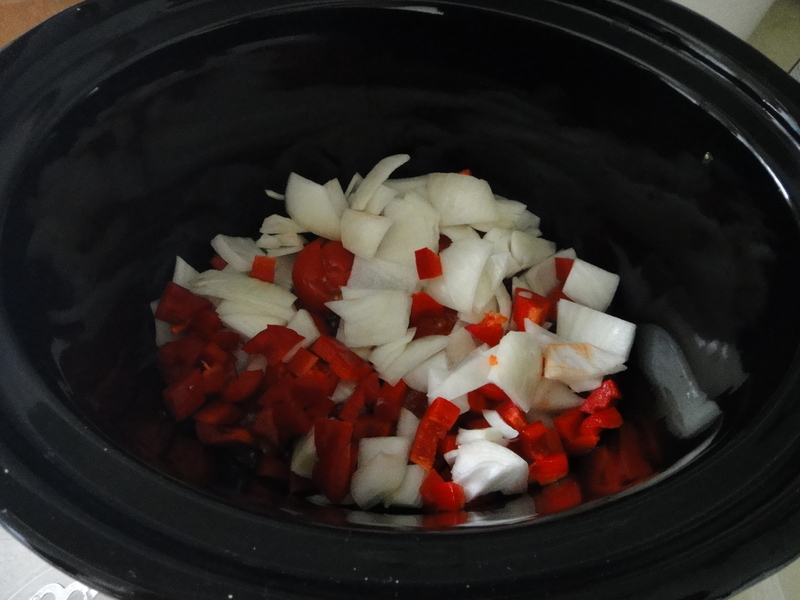 The best thing about slow cooker recipes is that they are so easy! I love my slow cooker.